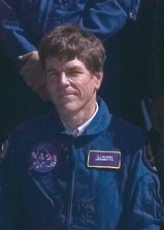 Rick Rairden joined Lockheed Martin in 1986 after receiving his PhD in Physics at the University of Iowa, where he interpreted data from the Pioneer Saturn and Dynamics Explorer missions. Dr Rairden's research at Lockheed Martin centers around the detection and analysis of low-light optical phenomena. He participates in the development of innovative instrumentation for photometry, spectroscopy, and imaging -- ground-based, airborne, and orbital. His field work during the past decade includes campaigns to view passive natural phenomena (aurora borealis, atmospheric airglow, lightning and red sprites), and active experiments (barium release in magnetosphere, spacecraft glow effects in low earth orbit, additional defense programs). Current development work is on advanced technology infrared spectroscopy for remote sensing of atmospheric pollutants and greenhouse gases. Fabry Perot spectroscopy of meteors and high-resolution UV spectrocopy of meteors. The 1999 Leonid MAC mission has provided the most significant lower limit to CN emission from Leonid meteors: less than half what would have been expected if all oganic nitrogen is lost in the form of CN radicals. Results were published in a paper in the special issue Vol 82-83 of the journal Earth, Moon and Planets: "Leonid Storm Research". I also contributed high spatial resolution imaging of the "Y2K" train, which helped determine the trajectory of the fireball and the pattern of upper atmosphere winds. A second paper in Vol 82-83 of Earth, Moon and Planets describes this work. near-UV spectroscopy to study the emission of N2+.